SUFI welcomes submissions in the form of articles, interviews, creative writing, poetry, reviews and visual art and photographic work for print journal and digital online website. 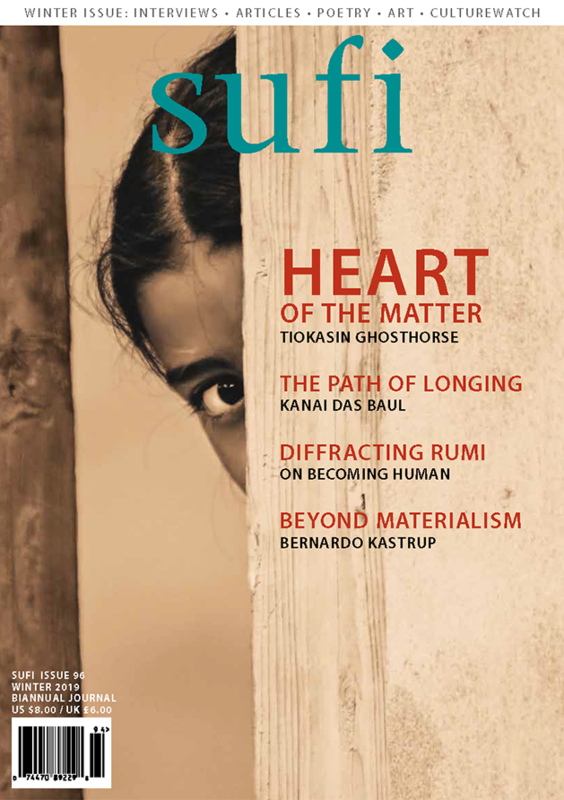 SUFI is a biannual journal devoted to the study of mysticism through literature, history, poetry and art. The editors of SUFI invite submissions on all topics relating to mystical philosophy and practice, irrespective of cultural and/or religious denomination. • All submissions will receive a response within approximately six weeks. • Please find guidelines for each of these submission formats below, along with the relevant editorial contact. 1. Material should be submitted in English, and should not exceed 3,000 words. The manuscript should be double-spaced with 25 lines per page. 2. Any notes should be numbered and grouped together at the end of the text. All references should be parenthesized in the text in accordance with the author-date system of The Chicago Manual of Style. The bibliography should conform to specifications as set forth in The Chicago Manual of Style. 3. Submissions should be accompanied by a short biography of no more than 50 words. 1. Material should be submitted in English, and should not exceed 2,500 words. The manuscript should be double-spaced with 25 lines per page. 2. Submissions should be accompanied by a short biography of no more than 50 words. CultureWatch is a special section in SUFI that features articles, short interviews and reviews about artists and/or contemporary artwork that relate to spiritual and mystical themes. The focus is on contemporary visual art, performing arts, literature and film, though other art forms will be considered where relevant. 1. Material should be submitted in English, and should not exceed 1,000 words. There is no minimum word count. The manuscript should be double-spaced with 25 lines per page. 1. Poems should be submitted in English and should not exceed 25 lines. 2. Poets are invited to send a maximum of 5 poems at one time. 3. First submissions should be accompanied by a short biography of no more than 50 words. 1. Artists may submit up to six images at a time. 2. Images should be submitted in either JPEG or TIFF format at minimum of 300 dpi.